Paint appearance is described by its brilliance and smoothness, often referred to as DOI (Distinctness of Image) and Orange Peel. Qualitest orange peel and DOI meters have been used at all major car makers and suppliers as the global standard to objectively control and optimize appearance. The Orange Peel / DOI Meter - Wave Dual series offers tailored appearance measurement solutions for every task, from portable units for the painted body or small add-on parts, to a robotic sensor for automatic appearance measurement. Now you can measure Orange Peel and DOI on small and curved surfaces: Automotive add-on parts - like bumpers, gas tank doors, mirror housings, door handles, and decorative trim or motorcycle parts. Small and light weight Easy to operate with one hand New scroll wheel to select functions and operate button to take readings. Large, multilingual display: complete statistics and name input directly at the orange peel meter Storage of 2000 readings in selectable memories. Auto-chart software for professional analysis, documentation and data management. High correlation to the visual perception. 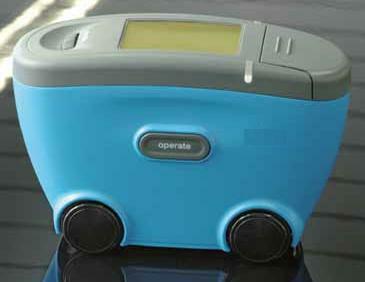 The micro-wave-scan is operated with a rechargeable battery pack (Li-Ion). The docking station automatically charges the battery pack and transfers the measured data to the PC. Optionally, the orange peel meter can be operated with 2 standard AA alkaline or rechargeable batteries - good for 1000 readings. Appearance control is no longer limited to final topcoat inspection. 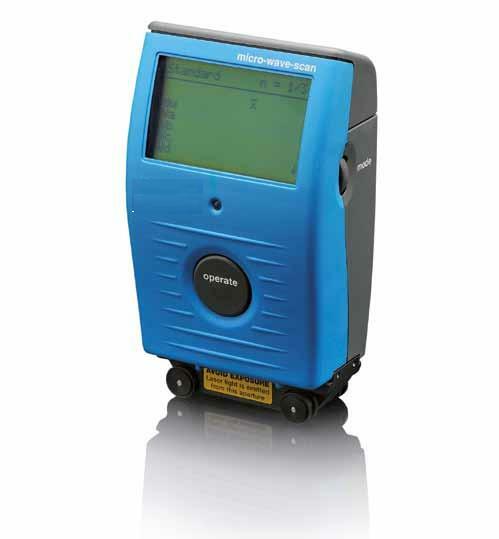 The orange peel meter scans the optical profile of high gloss surfaces using a laser light source. An additional, infrared –high energy LED allows measuring the same structure spectrum (0.1 – 30 mm) on medium gloss surfaces. The dullness measurement is recorded with state-of-the-art CCD camera technology. It gives information on the image forming qualities of the surface caused by structures < 0.1mm. Thus, the surface quality after each paint process step can be objectively evaluated. No more guessing which substrate layer is influencing the final appearance. The wave-scan dual will help you to objectively analyze appearance problems and reduce the time necessary for trouble shooting. The orange peel meter is operated with a rechargeable battery pack (Li-Ion). The docking station automatically charges the battery pack and transfers the measured data to the PC. 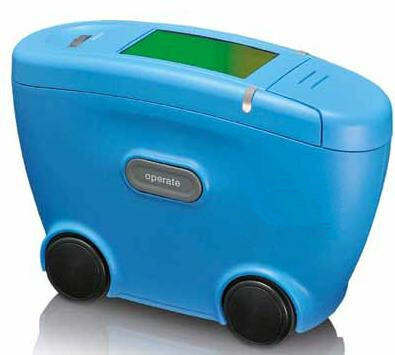 Optionally, the instrument can be operated with 3 standard mignon alkaline or rechargeable batteries – good for 1000 readings. Surface appearance changes with the size and distinctness of structures. The wave-scan II objectively evaluates orange peel as well as brilliance of topcoat finishes. Dullness and DOI measurement independent of the paint system. The orange peel meter is operated with a rechargeable battery pack (Li-Ion). The docking station automatically charges the battery pack and transfers the measured data to the PC. Optionally, the wave-scan II can be operated with 3 standard mignon alkaline or rechargeable batteries – good for 1000 readings. Weight 1.5 lbs (650 g). Temperature Range +50 °F to 104 °F (running) (+10 °C to 40 °C), 32 to 140 (storage) (0°C to 60°C).